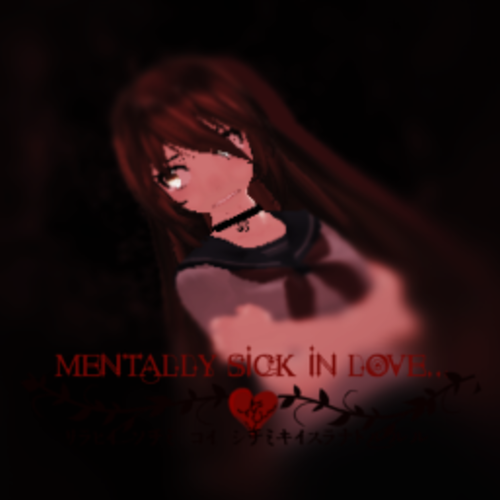 • Mentally Sick In Love (MSIL) Season 1 is an MMD and WEBTOON series about a teenage girl, Ayaka Ketsueki, that is falling into a dangerous harem because of her charms. She meets her childhood friends, Kojou Fumetsuno and Akuno Fumetsuno. The school later reveals that her school and Kojou and Akuno's school are collaborating. And a few school days in she meets lots of new boys that may look innocent, but are just bringing trouble to her. The schools are collaborating due to a government test. The test is to see how the immortal's can handle being around human's again after 5 years however, they have made laws about this "project" they've done that make it strict that the Vampire's, WereWolves, Incubus, Succubus, and Witches cannot use their powers on the humans, for there safety they've placed many facility members and some guards around the school except the delinquent area for some mysterious reason... Ayaka Later on in the school year meets this guy that harassed her named Izumi Hijōshiki, His father and Ayaka's mother were in the same high school when they were younger and Ayaka was forced to be Izumi's girlfriend in order to save her mom and sister and when Ayaka told Izumi he was insane to follow his father's footsteps he bit her to the point it left a scar on her neck after a while Izumi was bitten by a vampire and now he's a Vampire, Incubus, Wizard Hybrid. however, the other boy's and Ayaka's other friends Rushiki, Nashito and Rina won't stand Izumi's Behavior around Gakkō Kyōiku Highschool and are determined to put a stop to it can they do it? Can they defeat a powerful immortal like Izumi? We are in need of staff for this project. Please apply if you feel like you are good enough! • If MMD Animator, Experienced with good feedback. • If Music Composer, Experienced and original. • If Voice Actor, Experienced and good quality with little to no background noise. Basically, if you are experienced in what you are doing and you get good feedback on your activities then please apply! Email: DM me for it. We have a lot of characters that need voices, so if you think you can manage to voice two or even more it would be great! Please send in your voice file via discord or email. It's better if you go by discord since most of our stuff is in the chats. If you need the email please message me via CastingCallClubs DM's. NOTES: The video linked to this Casting Call is an old one and is NOT what Mentally Sick In Love is planned to look like. Furthermore info on the discord chat and email. Also, Mentally Sick In Love is not ANYWHERE near done. This series is in much progress and we still do a lot of improvements and editing to the series. The Casting call will continue until we've found every voice actor we need! Kojou is very humble, he is in love Ayaka. He has a brother, his name is Akuno. [Condescending Tone] Aww, and here I thought you didn't like me like that? Aya! Akuno! Are you ok!? Akuno is the brother of Kojou. They are almost the opposite. Akuno is a douchebag, tsundere and easily annoyed. His voice is like any other mean boy. Kaneki is evil seductive and mean. He fights a lot and he's also apart of Ayaka's harem. SHUT THE F*CK UP YOU RAT! Izu is the big sister of the Seiju sisters. She's a succubus and a gossiper. She has probably slept with every boy in her class by now. She is mature, but when it comes to her popularity in danger she becomes an airhead like her sister. *Note* Izu's model is not done yet!! WE NEED TO GET OUR POPULARITY BACK!! Rina is a very happy person overall, but she becomes uncomfortable easily. She has a fierce but light voice. 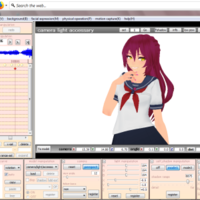 *NOTE* Rina's model is in progress. Mitsuki is the most popular guy in Ayaka's harem. Every girl in the school at least has a small little crush on him. He's seductive and acts mature, but he's actually a big pervert. Now, Now Ayaka, we don't want to rush the play, do we? YOU'RE LYING! THIS IS NOT TRUE! STOP MESSING WITH MY MIND! Mei is the younger sister of the Seiju sisters. She's very airheaded and has probably slept with more guys than her sister because of that. Mei acts really young and pure, but shes still very seductive. *NOTE* Izu's line comes before Mei's line. That's why its three dots in between. Also, Mei's model isn't finished yet either. NO! I WON'T LET THIS HAPPEN! We are the Seiju sisters! ... ...! And I'm Mei! Nashito is the brother of Izumi. He is the complete opposite of his brother. He cares for his friends and is a member of The Student Council with Ayaka and Rina. Nashito is also the boyfriend of Rina. They are deeply in love. I tried to scare you but you slapped me! Aito is a part of Kojou. A virus that some vampires sadly get infected with. Aito pretends to be a normal schoolboy to hide is real identity. His voice is very deep and could sweep a girl's feet off when they hear his voice for the first time. Aito doesn't really have a big role in season 1, but he is the main villain in season 2. PS: This audition is still open! You thought I was gone? He, I'm the nightmare that you'll never be able to forget. Get ready Kojou. Our fight isn't over. Ayaka is the main character in this character so make sure that the quality of your audition is great. Ayaka Ketsueki is a school girl who suddenly falls into a dangerous harem. Her voice is very sweet and comforting. Rumor says that Ayaka's blood taste's really good. Many students at Tokuyno High has tried to test it but failed. [Friend tone, Comfortable] Hey Kojou and Akuno! [Angry tone] As a Council Member in training and member of the occult club I demand you to Sto-GAH! Kid Koujou appears in the beginning from flashbacks. His voice is very light and innocent. 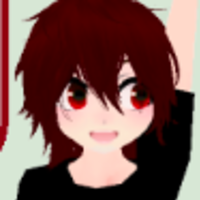 [Shy blushy tone] H-H-Hey Aya! [Comforting Tone, Worried] Aya, you ok? [scared, sad, angered tone] AYAKA!!! Since MSIL is both a Comic and an MMD series we'll need more Artist to help us. x We'd like experienced Artists with the style of Anime, Semi-realism, chibi or anything close to those genres. x Tell us about yourself and share your art so we can see if you fit! x We'd like an experienced MMD animator! 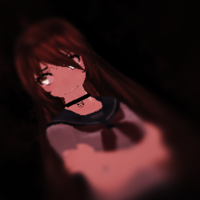 Not asking for too much, just a person who is experienced with MMD overall. x We currently have 4 animators! Male background characters are needed! Any voice is okay. I was thinking a romance since we’ve been doing lots of action plays recently. Why are the immortal's coming to our school!? shouldn't the council be able to say no? Female background characters are needed here! Any voice is okay. What new students are you talking about, sir? Kasumi is Akemi’s best friend and a close friend of Ayaka. She’s one of the best actors in town, which makes Akemi a little jealous. Kasumi has developed a huge crush on Mitsuki, which is really problematic since Akeim is head over heels for Mitsuki too. She’s been trying to refrain from her feelings, but her crush just grows more and more. I call dibs on Juliet! C...Can you do me a favor...? Akemi is apart of the drama club and is friends with Ayaka. She has a huge crush on Mitsuki, alongside her best friend, Kasumi. Akemi is not aware of this, but Kasumi is frightened that the love triangle could destroy their relationship. She will later find out Mitsuki's real personality, which makes her goal to expose him and leaving the drama club. [Fierce]I call dibs on Juliet! [angry, shocked]I can't believe this Kasumi...Why didn't you tell me!? We're best friends! [Confused] I'm sorry...I don't understand! Osu is Asawa's brother and a very close friend of Kojou. Osu used to be a part of Izumi's gang, but when he realized the crimes that they were committing he left. Osu also has a small crush on Ayaka, but he does not want to destroy his relationship with Kojou, so he keeps it to himself. *teasing tone* Are you jealous!? Toku is the mother of Akuno and Kojou. Her voice is very mature but still bright. She likes to act like she's still a teenager along with Ayakas mother. It’s rude of me to not introduce my sons, but they aren’t quite here yet. Yaaay~! I haven’t had a girls night in ages!! Oh, would you look at that, this is our class photo from high school! Remember Aisuru? Aisuru is the mother of Ayaka and Airashi. Aisurus voice is calm and sweet. Shes becomes worried when Ayaka is at school for too long because she herself has had some history with immortals. She also likes to act like a teenager when Toku is around. [small giggle] Thank you, Toku. Onanoko is the sister ofNashito and Izumi. She's very mysterious and its hard to read what shes feeling. She's very protective of her brother and doesn't want him to get hurt or in any danger. Her voice is a little bit light and very mysterious. Listen here old man, stay. away. from. here, got it? 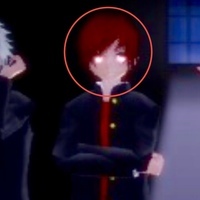 Takuma is Asawas brother, (Asawa is kind of the information source for the student council) Takuma has an own gang. They have similar goals with Izumi's gang. He has a voice similar to Kojou but smoother. 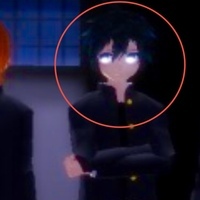 By the way, my name’s Takuma Eirian. My sister Asawa Eirian goes here. Hyoshi is the leader of the student council. She has a wide vocabulary and always takes matters seriously. She has a mature and straight forward voice. We're sorry for dragging you all here for it but no one out of the club must know anything we talk about or it could lead to rumors about false info. As you may have noticed we have some new members of the council.